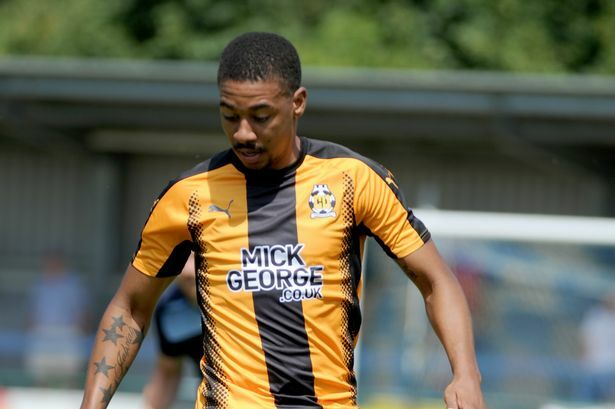 Reggie Lambe and his Cambridge United teammates earned a 3-2 win over Notts County in a thrilling return to the Abbey Stadium, thanks to two goal from Ade Azeez and a stoppage time winner from Barry Corr. Cambridge United had trailed 1-0 at the break following a phenomenal strike by Enzio Boldewijn, however Azeez scored twice to pull United in front before Barry Corr created pandemonium at the Abbey when he headed in late to secure the three points after Richard Duffy had levelled for the visitors. Dante Leverock scored but he and his JK Navra Trans teammates went down 6 – 1 to FCI Levadia in the Estonia League. Leverock’s goal came in the 40th minute to level the game at 1 – 1, but FCI Levadia scored 5 unanswered times in the second half to record the big win. Willie Clemons watched from the sidelines through suspension as his BK Boden teammates defeated IFK Timrå 6 – 1.